← Can you really call it Town? 1972 Town and Country. What ensued wasn’t a negotiation over some tucked-away car I needed to get my hands on, but a first-hand account of what racing was in the late 1940’s. Stories flowed out of him about building a car from scratch with a $10 Ford 60 V8 flathead from the scrapyard. Stories about wrapping a chunk of plywood with whichever piece of material was laying around to act as a seat. Stories about wearing leather helmets and gloves along with a t-shirt around your mouth to keep the dirt out. 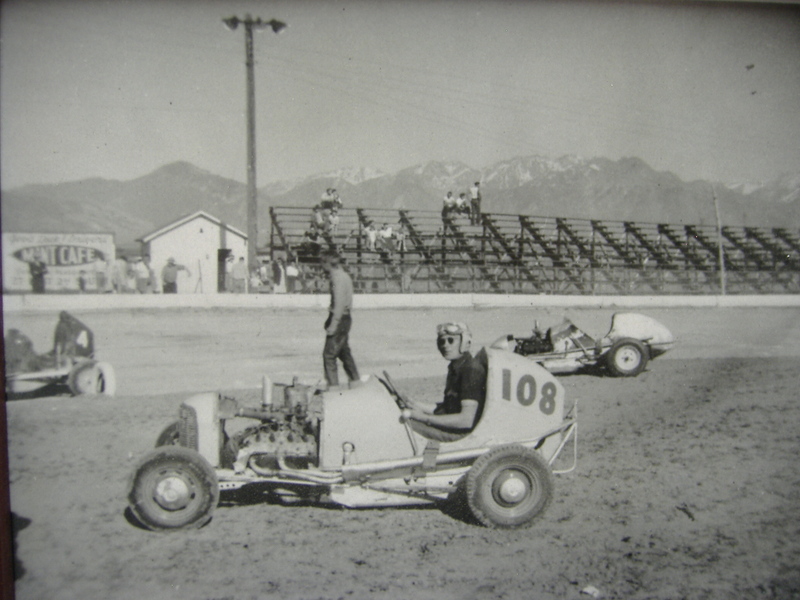 Stories about dirt tracks and fairgrounds and booze in the pits. To this day, I am pretty sure he was describing heaven. Through his stories and through a bit of research, I have gained a good knowledge of what a midget was at the time. 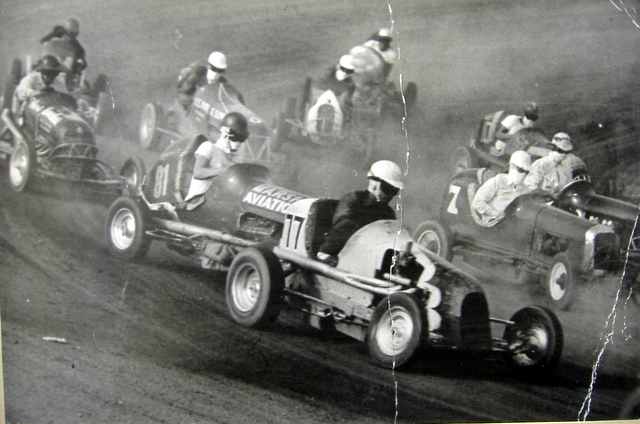 The late 1940’s midget racer was a tiny little car. It had 12″ wheels and a wheelbase of about 70″. The bodies and frames were usually handmade, and the styles and looks were quite varied. They had mechanical brakes, operated by an external lever, on the rear axle only. The transmission was just an in/out box and a push vehicle was required to start the car. The rear end was usually a cut down model T axle and the front axle borrowed parts from the Model T as well. At the time, you could buy all the Model T donors you wanted for $15. The fuel pump was just a tank that the driver would pressurize, while driving, with what amounts to a bicycle pump. There wasn’t much more to the midgets. 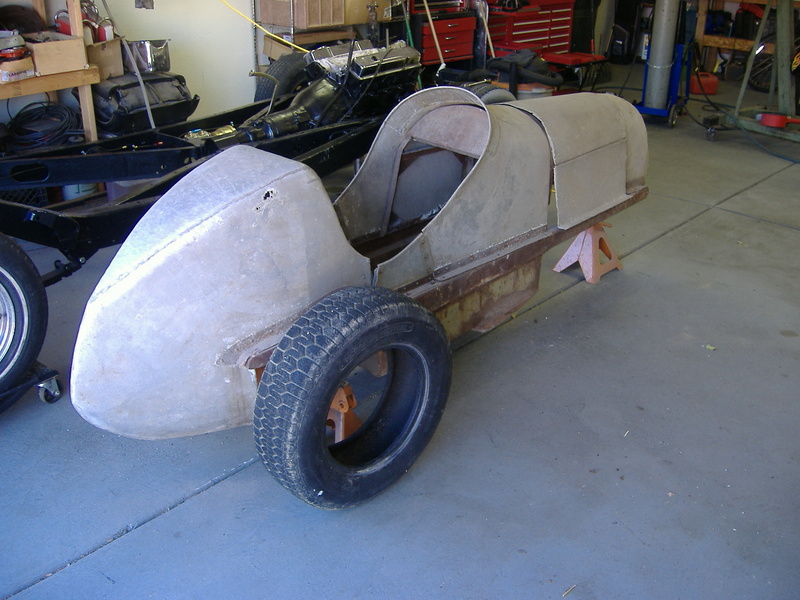 This entry was posted in EV Midget Build, It's Electric!, Items of Interest (Not for sale), Race cars. Bookmark the permalink.